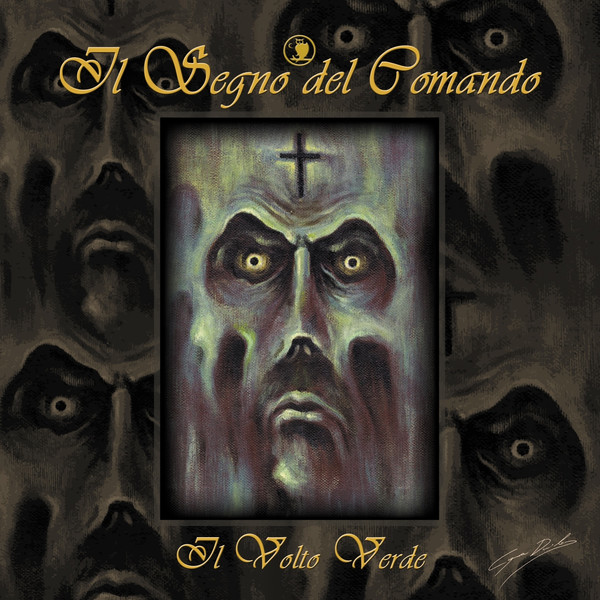 Il Segno del Comando first came together in Genoa, Italy 1995 and released their self-titled debut LP in 1996. Six years later they released their second album and then went inactive in 2010. Through the efforts of Black Widow and bassist Diego Banchero the band reformed to record and release Il Volto Verde. This new disc is inspired by Gustav Meyrink’s novel of the same name. The cover art is a suitably unsettling and esoteric accompaniment to the music. Il Segno del Comando cites their mixture of Italian progressive jazz, rock, and dark soundtrack music as influenced by Goblin, Jacula, and Il Balletto di Bronzo. I do detect a strong Goblin vibe throughout, starting with the opening track “Echi dall’ignoto” and continuing through the closing track “Epilogo.” I am not so sure about Jacula in that I don’t detect the Satanic influences so prevalent in their music. But there are some great organ solos akin to Il Balletto di Bronzo. Il Volto Verde is a fairly complex concept album. To achieve its ends, Diego recruited new band members as well as several guests: Claudio Simonetti (Goblin), Gianni Leone (Il Balletto di Bronzo), Martin Grice (Delerium), Freddy Delirio (DEATH SS), Paul Nash and Maethelyiah (The Danse Society), Sophya Baccini (Presence and Aradia), plus others from Osanna and Delerium. Over the course of the album the music shifts from 70s sepulchral music to contemporary and aggressive progressive rock, stopping off in the acoustic realm from time to time. There are some very beautiful acoustic and electric guitar passages, as well as spooky analog synths. This is not retro Italian prog music, though it could easily complement any 70s horror movie. I find it very interesting that with the resurgence of Italian progressive that newer bands are not only paying homage to the masters, but they are also involving them directly in recording and performing the music. All in all, another great release from Black Widow.